Keeping your home nice and warm is our top priority. 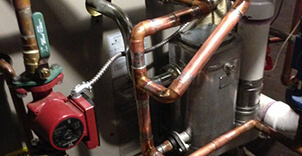 We are Prescription Heating & Cooling, your go-to company for heating in Woodbury. Whatever it is you may need in order to keep your heating system up and running, give us a call. We are a small, locally owned business helping the people of our area with all of their heating needs. We have families of our own, so we understand how important it is to keep your family warm and safe without breaking the bank. And, you know, having well-maintained equipment can reduce your utility bills, extend your heating equipments life and improve your overall indoor comfort. 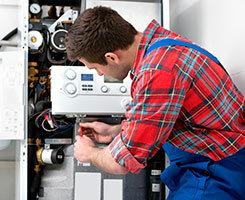 Our expertly trained technicians are ready to tackle any and all heating repairs or new installation work. Give us a call so we can come and check out your heating system. We can even offer you a free estimate on a new installation if you’d like! We are fully licensed, bonded and insured, so you can trust us with all of your heating needs. Prescription Heating & Cooling is comprised of HVAC professionals who are fully dedicated to the craft, always striving to provide the best service and provide the very best products available. It is this accountability that has made us so successful in the industry. Anything sound familiar? Give us a call right away and we can come out to your home for an assessment. And, once the issue has been diagnosed, we will explain the problems and give you a complete estimate of the time and cost required to get it fixed. No surprises! Are you interested in learning more about heating in Woodbury or the surrounding areas? Call Prescription Heating & Cooling at 651-767-2737, or you can contact us and get a Free Estimate on a New Installation.